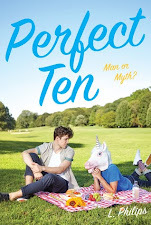 I absolutely love the idea of a mystery pen pal romance. So I decided to make P.S. 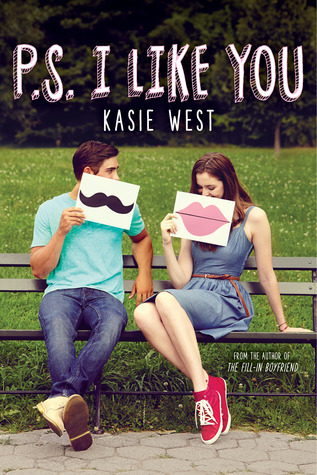 I Like You my first Kasie West book. And I was not disappointed. 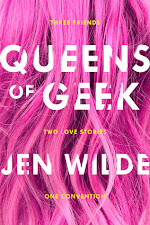 This book was overflowing with cute and had so much wonderful snark. Our main gal Lily liked to stay under the radar. She loves good music, playing guitar, and dreams of being a successful songwriter. Of course, she's got to actually finish a song first. She jots down a line to her favorite song on her desk in chemistry and the next day, whoever sits at her desk in a different chem class, wrote the next lyric to the song in response. Thus begins the pen pal relationship that is central to our story. Lily and her mystery pen pal find it easy to confide in each other and they start to grow closer without knowing who either of them are. It was fun reading their back in forth, especially because it was pretty obvious early on who the mystery pen pal was, but even though I had it guessed it didn't ruin the story. I think it actually made it better, because I was so curious how it was all going to come out and how they were going to handle it when they found out the truth. This book was chock full of good banter, awesome friendships, and crazy family that come through in the end. I will definitely be picking up other Kasie West novels, because I am hoping for more adorable and solid contemporaries just like this one!